Who's ready for another do-it-yourself video? I've been meaning to upload this for several weeks but better late than never! I was feeling like my kit needed some consolidation so I was able scale down on some foundation packaging. Check it out! Here are all the materials you need. I love Makeup For Ever HD Foundation for my kit. I love them so much that I included them as a Best of Alcone Item on my webstore. 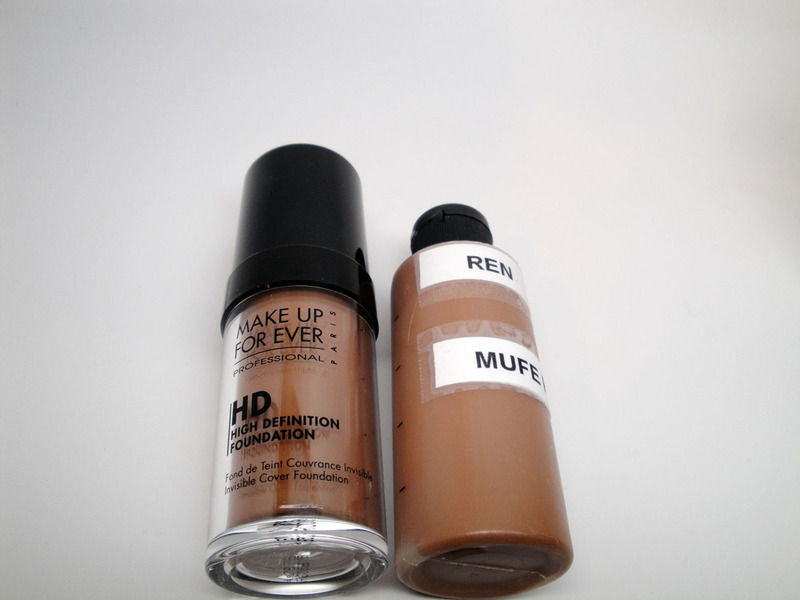 It's a no-brainer foundation that gives a real HD finish and it has great shades. The only problem is that sometimes the packaging can get a little bulky and if you travel with it, you'll know that the lids have an annoying tendency to pop off. I decided to transfer them into more travel friendly containers that were smaller, lighter, and easier to use. I get these plastic foundation containers from MAC. 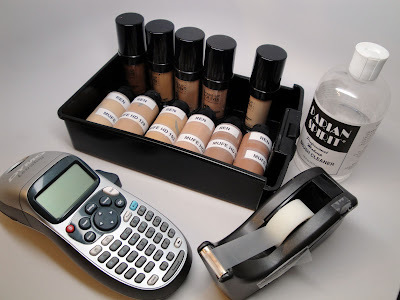 They're very helpful for consolidating any liquids in large containers, like foundation! They're lightweight and easy to use with a convenient snap top that you won't lose because they're attached to the cap. This is an amazing brush cleaner that also works great for rinsing out old makeup containers. It works wonders! I haven't found a similar brush cleaner. It's definitely one of my Holy Grail Must-Haves. 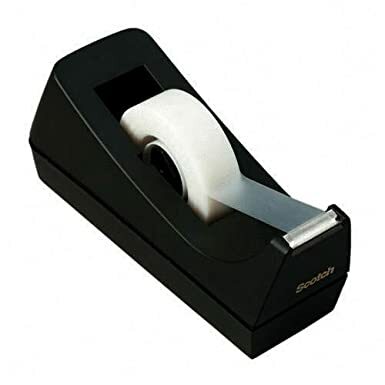 I used it to clean out the old foundation from my disposable MAC containers. In the video just a little product will de-gunk the bottles quickly. 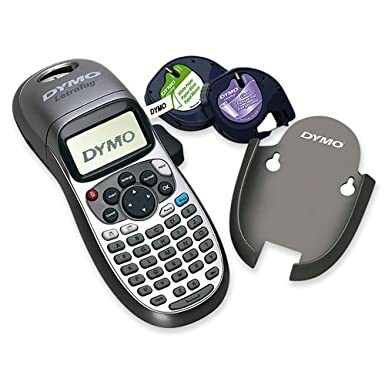 I bought this Dymo Label Maker from Wal-Mart several years ago and it's still going strong. It's become so helpful to have me label my makeup products especially when I depot. I prefer the labels with the white background as opposed to clear because it shows up better on clear bottles. To make the labels waterproof, I simply place a piece of scotch tape on top. If you skip this step, your labels will also get dirty and grungy over time. And here's a before and after! You save space, the bottles aren't as heavy and the caps won't fall off. Problem solved! I hope this post was helpful! If you try this tutorial out, please send me pictures! I carry the MUFE HD Foundations in my kit, too. Those lids are SO annoying.